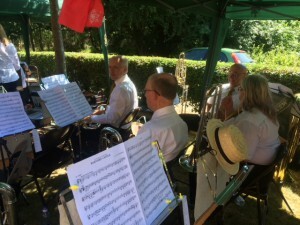 Band now enjoying its summer break! Even though there have not been many updates on this web site the band has had a fairly busy start to the year! Plenty of engagements in the sun! Wow! What a scorcher this year has been. Some much welcomed rain has put in an appearance in the last few days which has helped to cool things down a little…… The band is now on its Summer Break, returning for rehearsals in September. Earlier in the year you may have seen the band in concert in Kingsclere church? 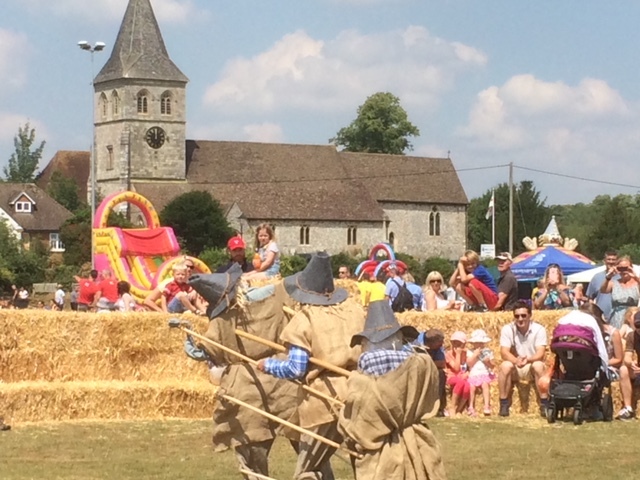 or perhaps at the Tadley Treacle Fair, Ramsdell Fete, Silchester Garden Party, of the Overton Scarecrow festival? It seemed a good idea to post a few photographs from some of these events here! Look forward to seeing you at our next event which will be Newbury Park on the 16th September. Hope you all enjoy the Summer! Its hard to believe its already July! Sadly we haven’t updated this section since we wished people a Happy New Year in January!! 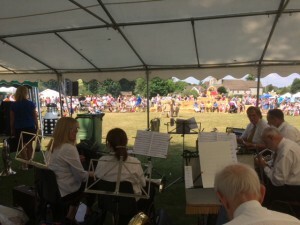 The band has been fairly busy since then with a number of fetes and concerts. The next event will be the Overton Scarecrow Trail on Saturday 14th July. Sure to be a hot sunny day!